Even though I drink the Apple Koolaid, I'm just as critical of the brand. 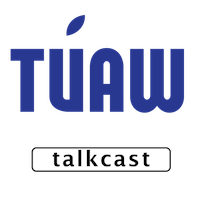 And so we discuss Apple in all its glory as well as shortcomings and bad foo on the TUAW Talkcast which happens each Sunday night at 10 pm EST over on TalkShoe. Join us sometime, won't you?